We have a roller coaster pattern here the next couple of days! We are warming up pretty quickly into this afternoon. Highs will top off in the mid 70s early on this afternoon, but a backdoor cold front swings through that will dramatically drop us into the 60s later this afternoon and evening. 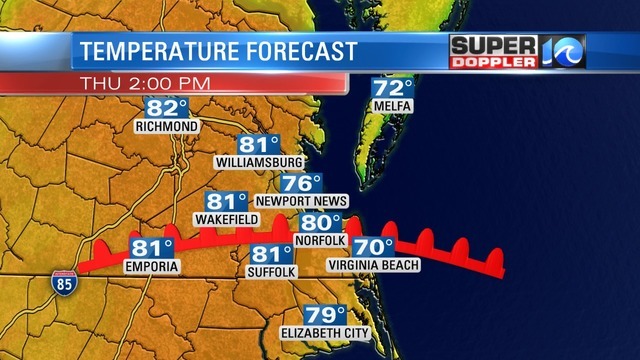 How is a backdoor cold front different than a normal cold front? Typically, cold fronts move in from the NW and moves in the same direction as the jetstream. Well, a backdoor cold front does the opposite of that. 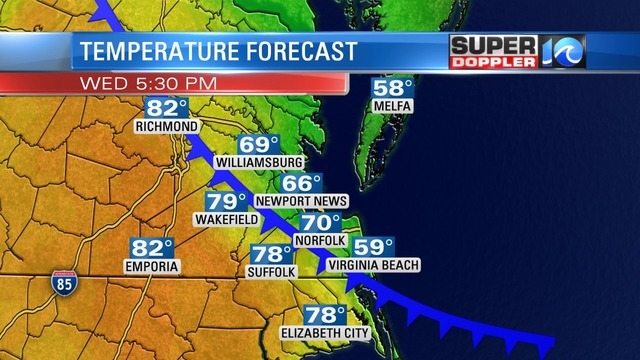 So this afternoon the front will move in from the NE and bring a brief shot of cold air! But it won't last very long as a warm front then pushes up from the south on Thursday, this will bring back the heat and humidity! The changes don't stop there! We'll see storms move in Friday afternoon/evening, it will start off scattered then pick up through the evening and overnight. At this point it does look some of these storms could be on the strong to severe level. Wind, heavy rain, and hail will all be possible within this storm system but we are keeping our eyes on the potential for isolated tornadoes. Download the WAVY Weather App so you can be prepared if these storms hold together as they move across the south today and Thursday. Looks like that will clear out through Saturday morning so we will start to see some sunshine later on in the day and for Easter Sunday! 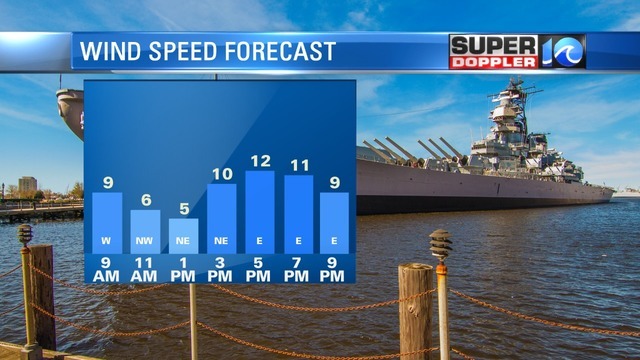 High pressure will move back in giving us a more calm weather pattern. Stay tuned for updates!